Hello fellow Eorzeans! It’s that time of the year again where the Saint of Nymeria comes with his “Saint’s little helpers” to spread happiness to the children and maybe to some lucky adventurers. 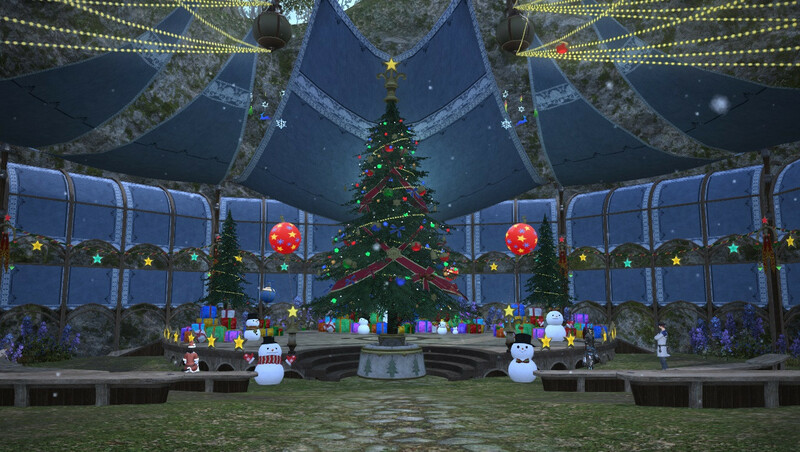 Eorzea and her people have seen troubled times but the Starlight Celebration is always filled with cheer. The city-states and the residential areas had been decorated and the little ones were waiting with much anticipation. Surely this season has something to offer all. I’m here with you today to show off the city-states’ desire to help spread cheer but I would like to take a moment to remember where this all started. The battles between the Knights of Ishgard and the Dravanian Horde were a terrible time for everyone involved. Yet the captain of the knights and his men still found it in their hearts to take in some of the children. Going against the rules set forth before them to do so. Giving the children shelter from the cold they had been forced into. The legacy of these fine individuals has lived on for generations and will hopefully live on for many more. Now with that said lets take a look at Limsa! The joys of the Starlight Celebration reach far and wide across our great home, even to the southern coast of the Vylbrand islands. The Lominsans may be no stranger to Pirates, Leviathan, and Titan but that doesn’t stop them. Under the great reign of Merlwyb Bloefhiswy Limsa has once again decorated their already beautiful coastal city. Next we head to eastern reach of Aldenard. In the vast forests lies Gridania. 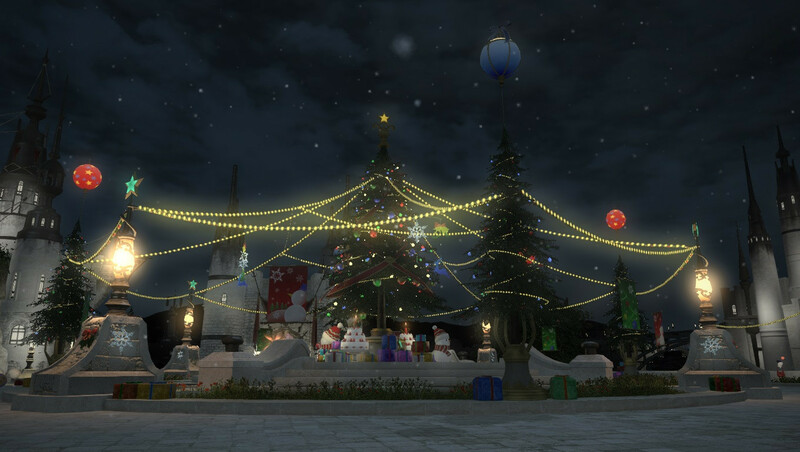 While they may be known for their careful coexistence with the elements, they still join Eorzea in her winter celebration. Under the guiding hand of Kan-E-Senna the Saint’s cheer reaches even to the children of this peaceful and relaxing city-state. Now let us head back to the south. On the southern end of Aldenard one finds Ul’dah. 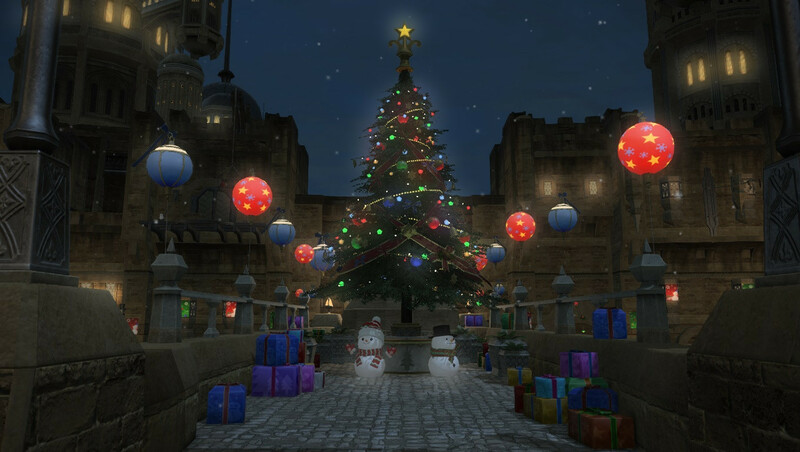 While this city-state may lie in a desert, the Starlight Celebration reigns true. The Saint’s helpers do their best to bring joy to the children of this bustling city-state of commerce. Many questions may linger about Nanamo Ul Namo’s rule, but we all can surely appreciate her show of care with the celebration.